Meral's collaged card features embroidered flowers cut from fabric adhered to a painted card. 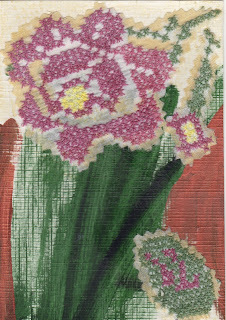 She has used a textured card that suggests embroidery! I have no idea of the circumstances of this piece but it reminds me of when I cut up my father's shirts to sew a quilt and the partially completed quilt sits in my loft. 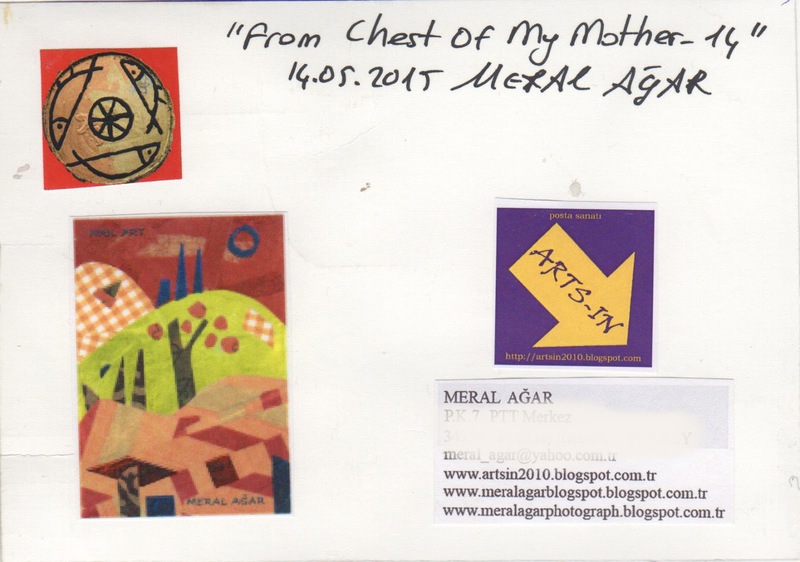 I love the idea of Meral sending pieces of her family history far and wide.